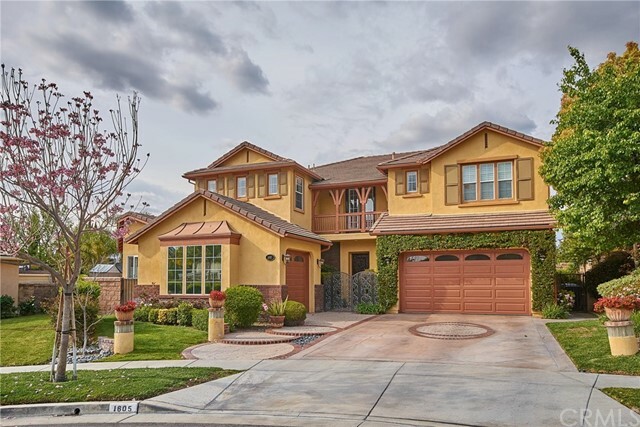 All Fullerton homes currently listed for sale in Fullerton as of 04/21/2019 are shown below. You can change the search criteria at any time by pressing the 'Change Search' button below. "Experience Hacienda Las Palmas, a masterpiece in contemporary architecture and green design. Entering the front gate, you will be awestruck by the sights and bouquets of the lush gardens meandering the 1.4-acre site. Encompassing 6,849 square feet of living space, the home surrounds a 1,200 sf courtyard with fireplace and koi pond for the ultimate indoor/outdoor lifestyle. The zaguan and outdoor dining room account for another 750 sf. The main house boasts 4 bedrooms with en suite bathrooms, che"
"Amazing Classic Design! Million Dollar Panoramic View Estate! Design, Custom Built in 2000 for the original owner, this property never been on market. Beautiful two-story home includes 5 bedrooms, 5 baths, an office room, a bonus room, and a loft area. 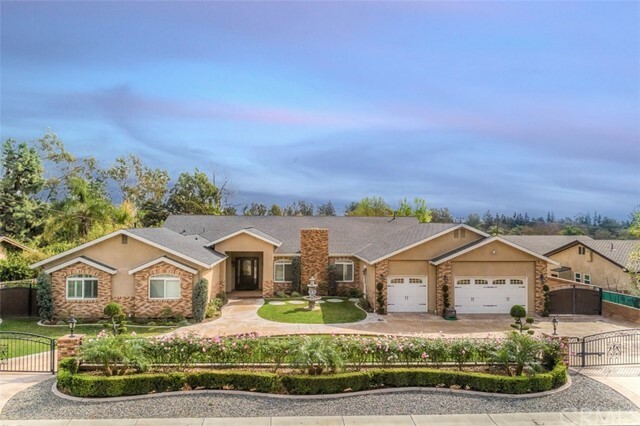 This open floor plan sits on a lot that is over half an acre (26,572 Sq). Vast front lawn leads toward a double door entrance. Walk through the entrance to find a formal living room that extends into a formal dining room. Kitchen features granite "
"NEW Construction nestled in one of the nicest streets of Sunny Hills Fullerton! Minutes from Latina lake and bike trails as well as equestrian center. Minutes to Downtown Fullerton as well as a short drive to Brea. Boisterous construction consisting of 6 bedroom and 8 bathrooms with an office space one loft and a media theater room. One formal kitchen and a butlers kitchen. Two laundry areas one upstairs one on the main floor. Ground level has 3 bedrooms two of which have exterior access. All be"
"NEW Construction nestled in one of the nicest streets of Sunny Hills Fullerton! Minutes from Laguna lake and bike trails as well as equestrian center. 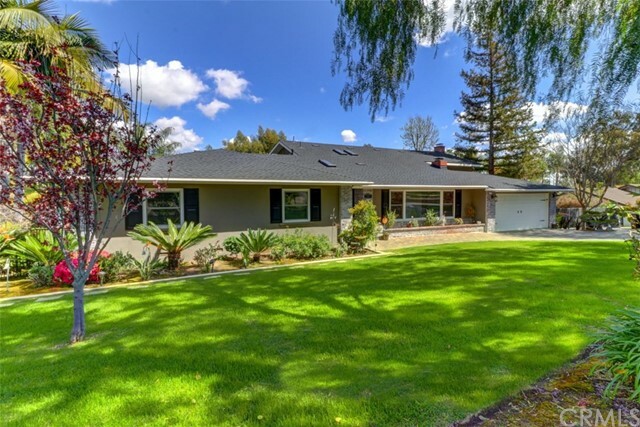 Minutes to Downtown Fullerton as well as a short drive to Brea. Boisterous construction consisting of 6 bedroom and 6 full bath and 2 half bathrooms with an office space one loft and a media theater room. One formal kitchen and a butlers kitchen. Two laundry areas one upstairs one on the main floor. 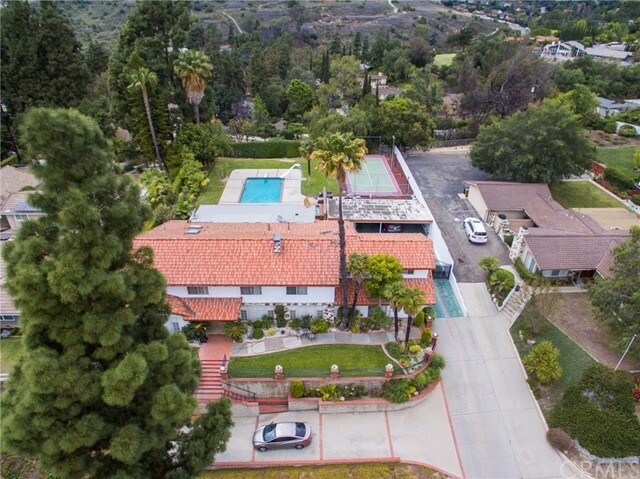 Ground level has 3 bedrooms two of which have ex"
"First time on the market in 30+ years, this elegant custom home in coveted Sunny Hills Estates has been lovingly cared for & designed for ultimate comfort and entertaining. This ultra mega home has enough rooms to house a multi-generational family or room for every hobby! Master retreat is expansive w/ 1700 approx. SqFt & feels like a luxury hotel suite. 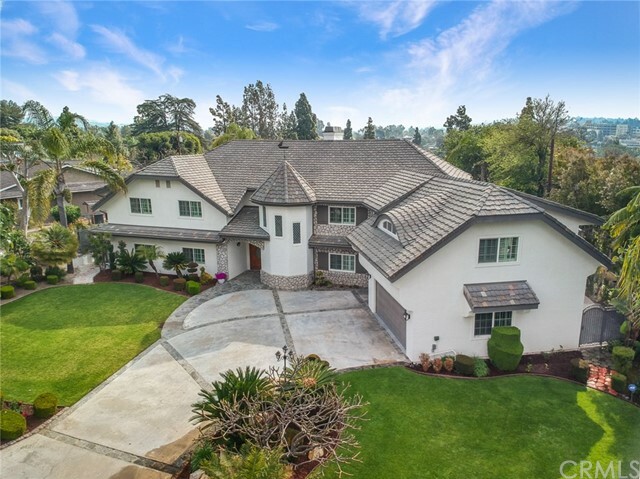 Equipped w/ a wet bar, a fireplace, panoramic views from all windows, separate yoga room, vanity room w/ a sizable walk-in closet & more, it is"
"Situated on a sprawling usable lot in a private cul-de-sac of Sunny Hills Estates, arrive home to this updated Tudor/French Country-inspired custom estate! Featuring 5 bedrooms (2 downstairs), an office, a large bonus room and two separate staircases, this home is approx. 6,891 SqFt and can accommodate a large multi-generation family or a room for every hobby! Walk through the entrance to find a inviting living & family room with dual fireplace which overlooks the lush expanse beyond. Chef "
"Nestled in the prestigious Raymond Hills neighborhood, discover this classic Tudor home first time on the market in 20 years. This magnificent gated estate is perfect for your individual comfort or for that of a multi-generational family. Entrance w/restored imported leaded glass windows. Grand room with fireplace, tray ceilings. Real wood flooring. Formal dining room. 50k in kitchen remodel. Three downstairs bedrooms, two are master bedroom suites. 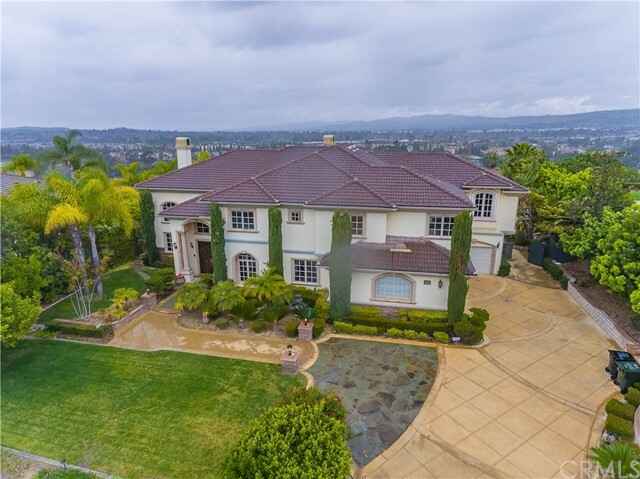 An additional east wing with private entrance,"
"Located near the prestigious Skyline area of Raymond Hills, this secluded and gated estate is part of the Ridgemont community. This quiet gated community is exclusive to only ten residences, making this a rare offering. Ridgemont Court is an upscale community for the most discerning homeowner who values luxury, privacy, and refinement of the highest quality. As you enter through the arched front door into the rotunda foyer, you're greeted to a custom marble sunburst mosaic floor and tasteful cha"
"A rare opportunity to live in a single-story (no steps inside) w/ 2 master suites and w/ Radiant heated flooring w/ 10 zones w/ 4 separate control panels and warms up the entire house, including the bathrooms, nicely w/o using the heater! Located in the exclusive Sunny Hills Estates, this modern home has been newly constructed w/ major expansion & renovation in 2018! Stately curb appeal w/ circular driveway is well-appointed & convenient. Walk through the door to find high ceilings & open floor "
"New Price Reduction!!! Motivated Seller, Priced to Sell... New and improved driveway entrance!!! 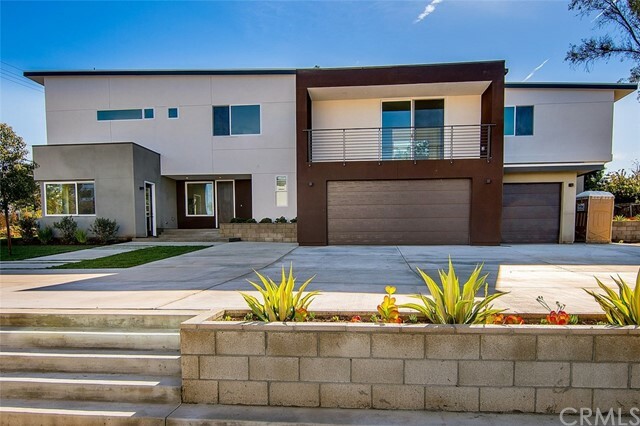 Exceptionally newly constructed (December 2018), modern residence in Fullerton. 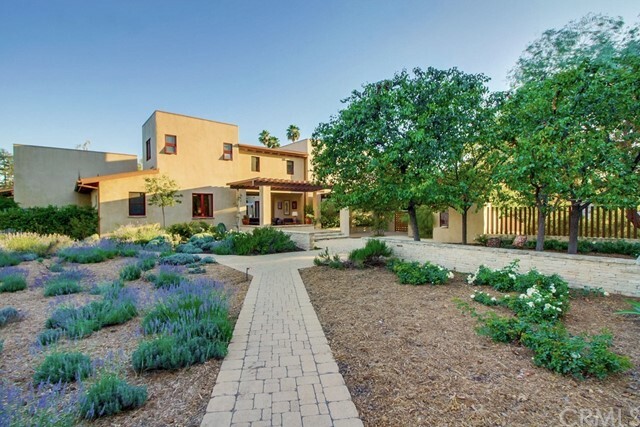 The home features 5 generous bedrooms, 4.5 bathrooms, 4896 square feet perched on a 21,422 lot. The open floor plan is flooded with natural light featuring dramatic walls of over-sized windows, Birch wood and carpeted floors throughout with balcony boasting gorgeous views. A gourmet chef s kitchen is adorne"
"Gorgeous single-family residence with over 6,000 living sqft that comes with 4 bedrooms, a bones entertainment area, salt water pool and spa, RV parking and large flat (completely usable) lot that s roughly 27,520 sqft. Recently remodeled this custom Fullerton home is sure to amaze. From the front entry you will immediately notice the wood porcelain tile floors that run throughout. Just to the right is the spacious dinning area with a fireplace, designer fixtures, and is open to t"
"Opportunity knocks! Perfect for a multigenerational household. Unique horse estate w/ resort-style home, amazing mother-in-law quarters, views & extra room for everything else! Sides & back of house provide stunning rear views of the Hiltscher Park Trail, known for its immense natural beauty of mature trees and tranquil shaded paths.Light & bright open floor plan, attractive curb appeal w/ mature trees & garden.Main floor has foyer, 2-story ceiling living room, formal dining room, family room w/"
"Quintessential luxurious living only begins to define this breathtaking Fullerton's Sunny Hills CUSTOM ESTATE! ONE-OF-A-KIND SINGLE STORY. Encompassing the open floor plan offers approx. 4,600 SqFt (4,063 + basement 540 SqFt); four bedrooms + loft and 4.5 bathrooms sitting on over 1/2 acre lot (26,125 SqFt). This DREAM HOME boasts its fabulous 2 own electric sliding gates, an expansive circular driveway w/ plenty of room for guest, RV and boat parking. Step inside and take a moment to admire the"
"New Price Reduction!!! Motivated Seller, Priced to Sell...New and improved driveway entrance. Exceptionally newly constructed (December 2018), modern residence in Fullerton. The home features 5 generous bedrooms, 4.5 bathrooms, 4170 square feet perched on a 23,334 sq ft lot. The open floor plan is flooded with natural light featuring dramatic walls of over-sized windows, Birch wood and carpeted floors throughout with balcony boasting gorgeous views. A gourmet chef s kitchen is ado"
"** This expansive luxury estate is simply stunning with truly tasteful finishes ** This executive home will satisfy all of your HOME desires ** Located in the exclusive gated Presidential Collection Community sitting on an end of Cul-De-Sac and almost 10,000 SQFT flat lot ** The owner has invested $170,000 on improvements ** Property boasts 5,161 SQFT of living space w/4 bedrooms and 5 bathrooms ** Downstair has one bedroom with own bathroom Plus one office with powder room ** Giant recreation r"
"Wide Angle Views of Mountains to downtown LA and Amazing Sunsets declare this Gorgeous Home THE BEST The Presidential Collection has to offer. Situated at the highest point in a culdesac with the best views and with over 4300 square feet this executive home will satisfy all of your HOME desires. The owner has invested $150,000 in improvements making the kitchen larger, more user friendly and designed for lots of guests with New Stainless Steel Appliances including a stainess farmhouse sink and w"
"PRICE REDUCED $50,000! Parkhurst Entertainer's Paradise! You will truly feel like you are on vacation every day in your spacious new home! A sparkling Pebble-Tec pool & spa with beautiful water features surrounded by natural stone, custom designed pavers and swaying palm trees. Outdoor California room with TV hookups and surround sound. A massive granite BBQ with bar fits 8 barstools! Double-door entry and a majestic 2-story oval foyer adds impressive elegance. Custom designed painting inside an"
"An EXQUISITE GEM in Prestigious Raymond Hills of Fullerton!! Nestled in a Cul-de-Sac with a luxurious entrance leading into paradise, where no expense was spared with high-quality construction. The magnificent large chef s kitchen offers an extended island with a built-in faucet, granite counter tops throughout with bar seating around that flows to the dining room and living rooms, a six-burner gas stove with griddle, additional ovens, over-sized built in refrigerator, and a full-"
"Welcome to this beautiful modern home built in 2009 at the top of Raymond Hills nestled at the end of a quiet cul-de-sac. 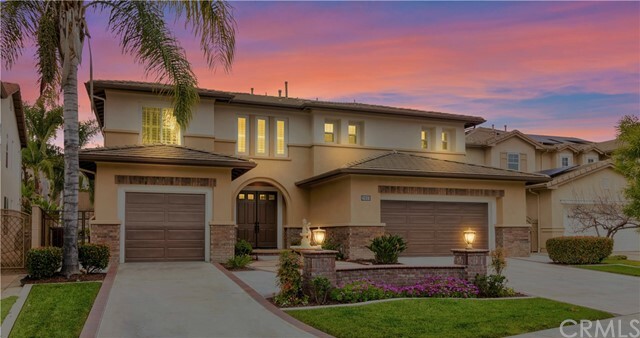 This stunning home has excellent Awards schools and close proximity to hiking, equestrian trails, shopping and more. Entrance through stately double doors to find sweeping staircase, soaring ceilings & foyer w/ sitting area. Kitchen has granite counters, breakfast bar & bright breakfast nook surrounded by light-filled windows w/ access to backyard. Open to the kitchen is a sp"
"This spacious single level home with beautiful views has character. One of a kind. Terrific floor plan for easy living and entertaining both inside and out. Wonderful large living room, family room (each with a fireplace), dining room, breakfast room with large kitchen plus walk in pantry. The kitchen extras include a very large Kitchen Aid refrigerator, 2 ovens, warming drawer and bar refrigerator. The master bedroom, with spectacular views, has a walk-in closet. The master bathroom includes a "
"BACK ON THE MARKET! This highly upgraded property in the gated Presidential Collection!! Exquisite features enhance this impeccably maintained home, shows like a model. From the private, gated courtyard entry, the Plan 3 home offers a formal living/dining room with triple French doors to a vibrant front courtyard with stained concrete patio and custom wall fountain. The open floor plan has a 2-story foyer, downstairs bedroom with en-suite Bathroom, travertine flooring, ceiling fans, and so much "
"Exclusive and Private Sunny Hills Real Estate located in the most famous place on the top of the ridge with lots of potential for the Dream Builder. It's in award-winning Laguna Elementary, Parks Jr High, and Sunny Hills School District and also nearby Laguna Lake Park as well as St. Jude Hospital. This Traditional home has 6 generously sized Bedrooms and 4 FULL Bathrooms, Office, Living room, Dining Room, Kitchen with a lot of storage space and Two Separate Family Room. 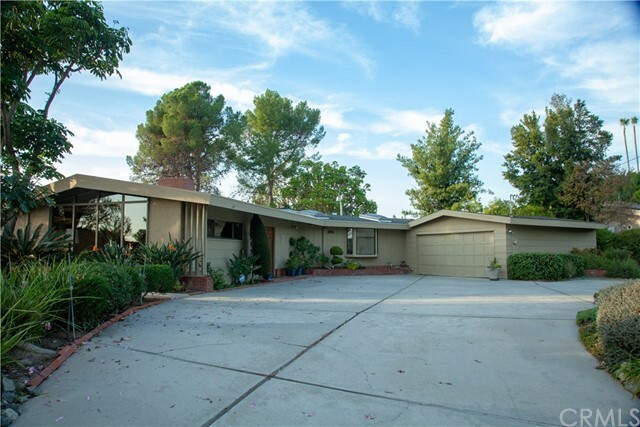 This unique split level "
"This Beautiful Home with it s large, rarely available, 10, 500 sq ft lot is located in the highly sought after Gated Community of Parkhurst. It has an amazing 4,243 sq ft floor plan which features an impressive 2- story entry foyer with a circular cathedral ceiling. There are 5 bedrooms and 5 baths plus an office and a main floor bedroom with a private bath. The kitchen, with its large island and extra-large walk-in pantry, adjoin the light, open family room with a cozy fireplace."